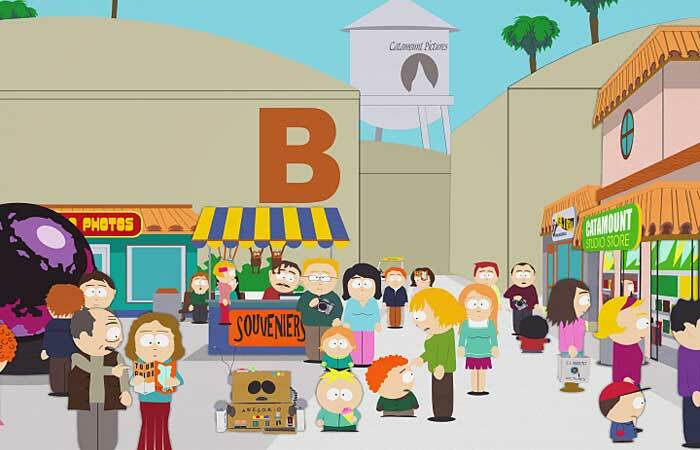 You tuned out just when I thought South Park gaining momentum again. I don’t like Season 2 so much, and that’s around the time my buddies were tuning out. I stuck with it, thought the third through fifth seasons were a big improvement, but Season 6 is when Parker and Stone started hitting them out of the… park. Couple of years ago I bought a pal the sixth season as a gift and he’s back to watching it each week as a result. Are you a fan of Season 15, Mr. Reed? I found it hit and miss. “City Sushi” and “Last of the Meheecans”: yes. 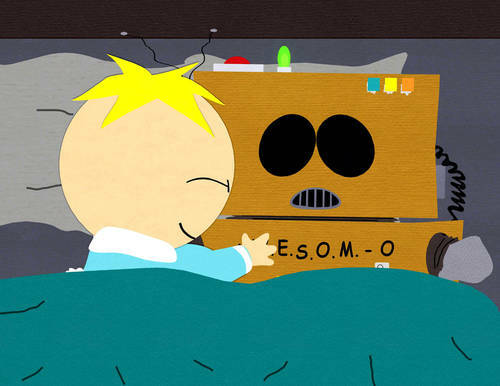 “HumancentiPad” and “Funnybot”? No thanks. Not sure where I am with “You’re Getting Old”. Hoping to get Parker’s opinion on it at some point. Futurama’s days on Comedy Central has saw some shaky stuff too. I have a theory that Fox telling them no improved their creativity. As far The Simpsons is concerned… I was surprised when I checked the episode guide to find my enjoyment of the show left with the start of Season 10, when the production code went from “5F–” to “AABF–“. I do think the show has actually improved since Season 21. While nowhere near the quality of the show at its height, “The Bob Next Door” had me laughing again. Didn’t think that would happen with a Sideshow Bob episode again, especially after that horrendous Italian Bob episode. Oh I don’t like the site’s attitude to spaces between paragraphs in comments at all. Skyward Sword rant is indeed in the pipeline, and I hate the paragraph formatting in the comments section as well. I don’t know how to change it, however…so we might be stuck with it for now. Genuinely sorry. 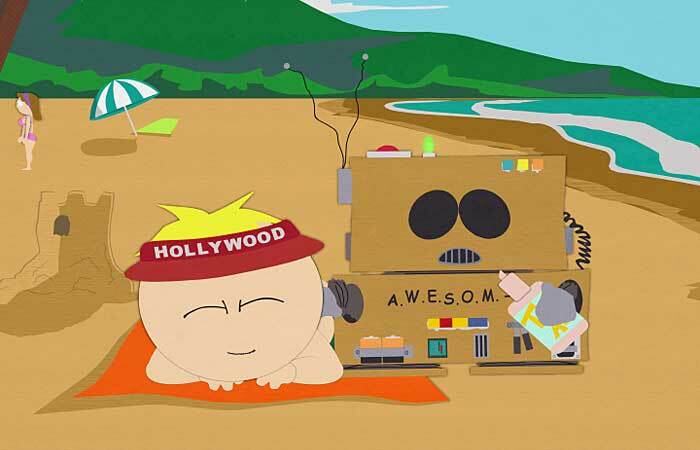 I’ve lost interest in South Park for the most part, though I think of Matt Stone and Trey Parker as comedic geniuses- it seems like most of the recent stuff is way too topical and the timing is weird. It seems too rushed, I guess. 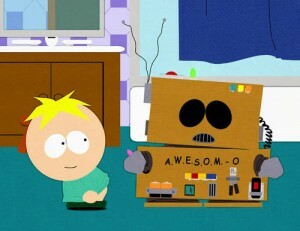 Knowing the back story behind the production of the Awesome-O episode makes it a lot more interesting. It’s been a while since I’ve watched it, but that one does stand out as a very memorable and hilarious episode. I think it’s really interesting how you compared the timing of the stagnation of The Simpsons with the production of this episode.. Whether or not I really believe in it, I like the symbolism there of Stone and Parker choosing to scrap the stale formulaic idea and slap something good together at the last minute that is worthy of carrying on the quality of the show. This was a great post. I am really enjoying your blog. You are an excellent writer. and later on you have “Of course Cartman’s plot *fall* apart the moment he finds out “.. Thanks for pointing them out. They’ve been fixed. Spurred by this review, I re-watched Awesom-O, long one of my favorites. Sorry to be a poopy-pants, but I must say that this time round the last line of the show completely ruined it for me. It’s one thing having the kids talk like that, although I wish they wouldn’t, but having an adult say that is a lot more offensive that Matt and Trey probably think. My favorite episodes are now Free Wylzniak and You’re Getting Old. You may be glad to know that when I caught this episode in syndication recently, that line was cut, and the episode just ended with everybody laughing at the video! Yes, I am glad! Thanks for the update. 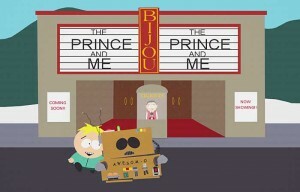 Still one of my favorite episodes, if not my #1 favorite. Great essay. Great episode. Maybe my favorite. Just saw it again on MuchMusic. 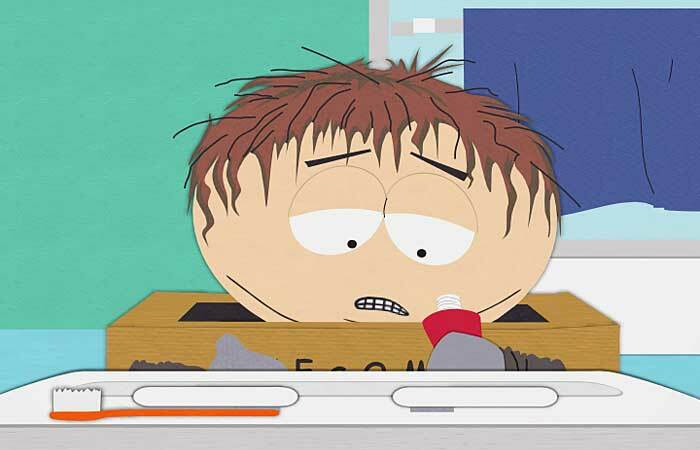 General at end calls Cartman a f*ggot. 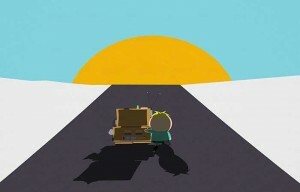 Cartman replies, ”lame.” And the episode ends.